The Philippines is home to over 7,000 islands. 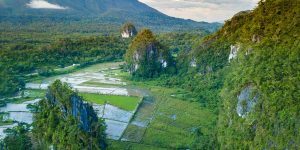 This South Asian nation boasts some of the world’s best beaches, stunning caves, incredible landscapes, and some of the most delectable food you can imagine! 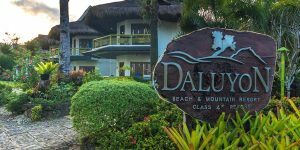 Read on and learn about why the Philippines is the perfect spot for a South Asia family vacation! The Filipino focus is heavy on family, as such, family travel to the Philippines is unquestionably one of our favorite experiences. 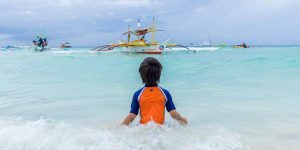 From the epic food to the incredible culture and landscapes, traveling to the Philippines with kids can be one of the greatest experiences of your life. 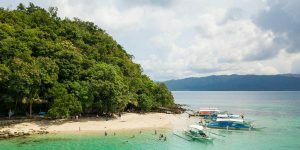 Whether you want to lounge on one of the best beaches in the world in Boracay or go island hopping among the UNESCO marine parks of El Nido, the Philippines will leave you begging for more. Explore the best of the Philippines! Check out some of our most popular Philippines blog posts. 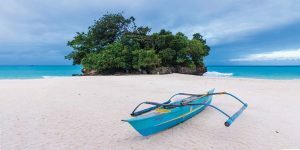 Boracay is more than just beautiful beaches! 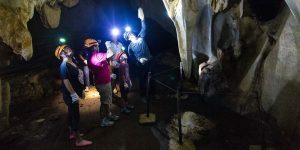 Discover some of the best family activities in Boracay to keep your whole family busy. Boracay is the destination of choice for most family travel to the Philippines. But maybe that’s because most people haven’t heard of San Vicente in Palawan! The landscape throughout El Nido will blow your mind. But there is more to this beautiful section of Palawan than just island-hopping! 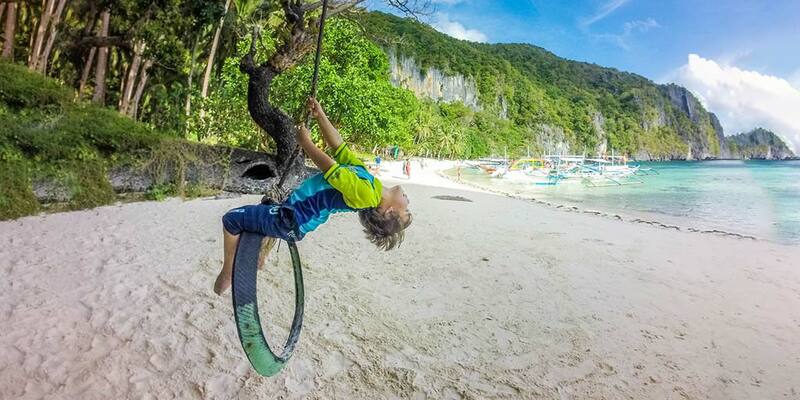 Check out our top things to do in El Nido with kids. The Philippines is a complex county with one of the most diverse language systems in the world. 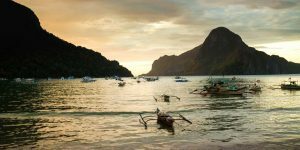 Spread out among the 7,000 + islands of the Philippines is a range of cultures to immerse yourself into. 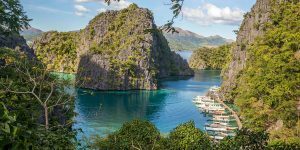 From the thriving metropolis of Manila to the quiet shores of Coron, the Philippines offers something different around every corner. Our Philippines guide will help you sort out what you need to know before traveling to the Philippines with kids. Philippine currency is the Philippine Peso. The average value of the Philippine Peso is approximately $0.020 USD. You can check out the current value here. The Capital of the Philippine Islands is Manila. Manila and the surrounding area is home to over 22 million people and is one of the most densely populated cities on Earth. The Philippines uses 220V, standard sockets. You may need a voltage converter depending on your electronics. Cell phone service is readily available throughout Urban areas of the Philippines. Sim chips are cheap and can be added to unlocked phones. Access in rural areas or smaller islands can be spotty, and wifi is often unreliable. Mass transit is not readily available in most Philippine cities. Transit is normally done by car, tricycle (motorcycle with a sidecar), or Jeepney (a large jeep with an open back used like a bus). International drivers licenses (IDP’s) are accepted in the Philippines. Driving in the Philippines is safe, however, traffic rules can be difficult to decipher and traffic, especially in metro areas is nothing short of mind-blowing. Roads in the rural Philippines can often be in poor repair and prone to floods. The terrain is mountainous, and although towns may seem close together, it can require long driving times to commute between them. Family travel in the Philippines is incredible. 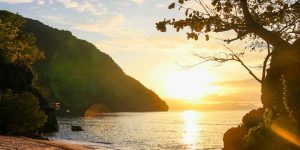 With so many beaches and the incredible island life, the Philippines is an incredible family destination. Filipinos are known for their love of children, and young children especially will often be doted on here. Don’t be surprised if they are offered treats and small toys. Should You Skip Boracay And Head To San Vicente Palawan Instead?